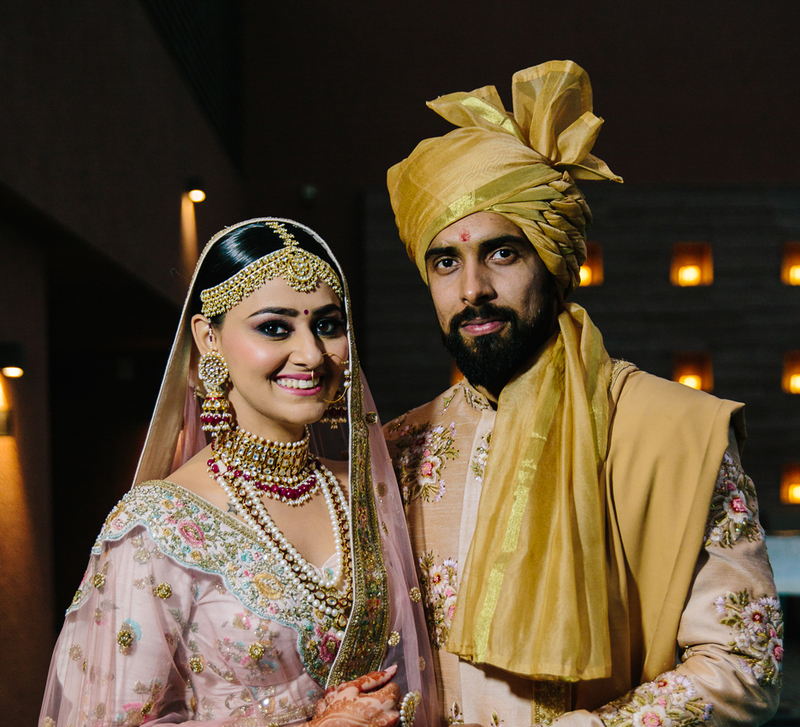 Richie and Vishwa got hitched at the grand Taj Falaknuma Palace in Hyderabad last year and their bewitching wedding was the perfect beginning to their happily ever after. 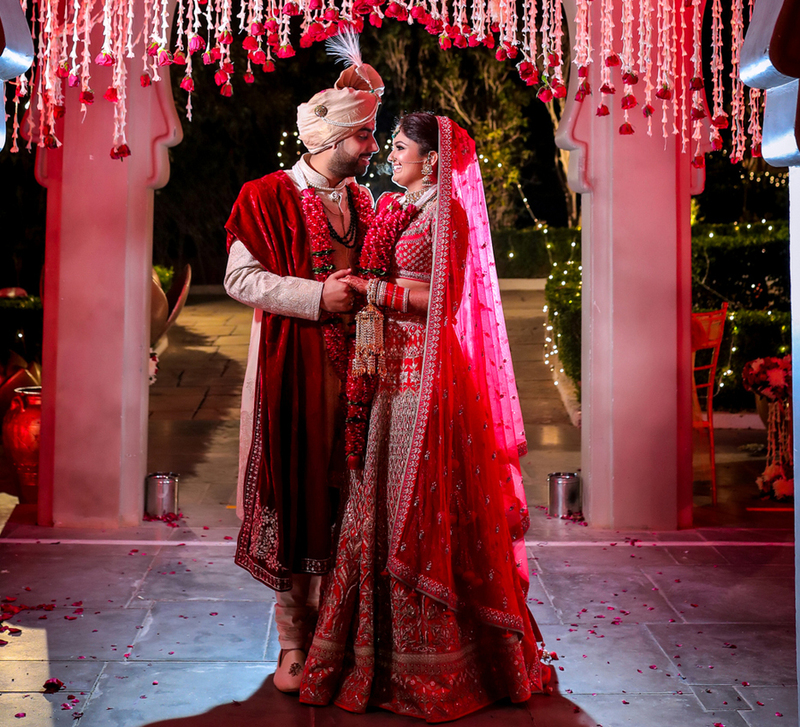 Richie and Vishwa’s story has all the elements of a rom-com – friends first, then they were lovers but had to spend some time apart before they finally tied the knot.The bride shares highlights of their grand wedding at the Taj Falaknuma Palace along with photographs by WeddingSutra Favorite – WeddingNama. Richie and Vishwa met at the Aston University, Birmingham and were friends for a few years. Their friendship evolved into something more only after they returned to India. Richie lived in Hyderabad, Vishwa was in Mumbai and a long distance relationship was what they settled for. They had a strategy though. Vishwa would visit Richie in Hyderabad every 15 days. Richie would come to Mumbai the fortnight after. Things were working out alright but it was time for the soulmates to unite. 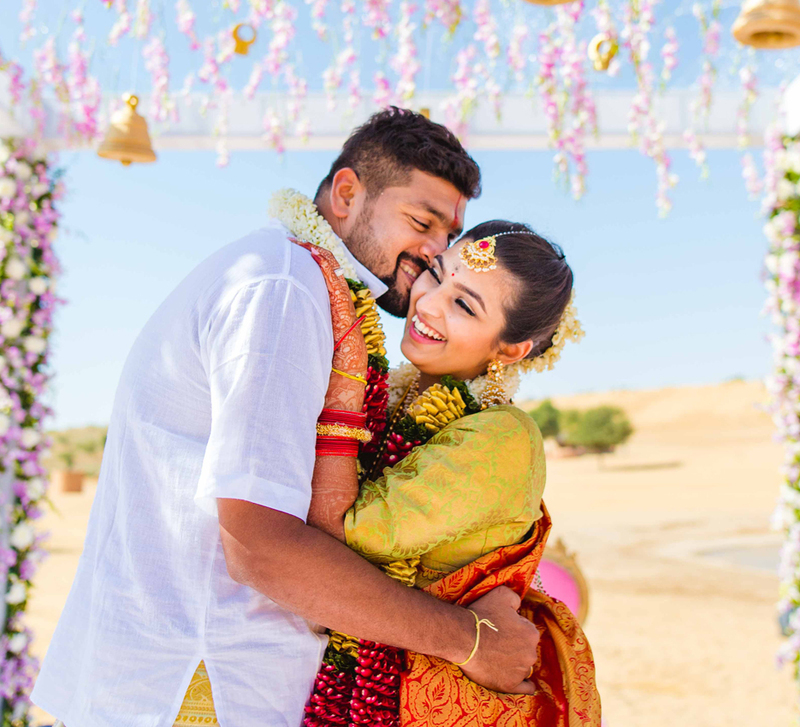 Vishwa took the first step and brought an end to their long-distance dilemma in April 2017 when he proposed to Richie by planting a ring under their seats, while scuba diving in the Maldives. Marigold Weddings planned the wedding and the décor for each event was customized as per the couple’s wishes. Richie particularly loved the décor at this party where even minute details like a series of mystic symbols - dream-catchers, wind chimes and colorful origami - caught everyone’s eye. The Sangeet had a ballroom theme. The ladies wore gorgeous evening gowns while men suited up in tuxedos. The extravagant décor complemented the dazzling night. Richie loves elephants and this little detail was also beautifully infused into the wedding décor. The couple’s wedding took place in January 2018 but even today, they cherish all the beautifully captured photos and videos as if it just happened. 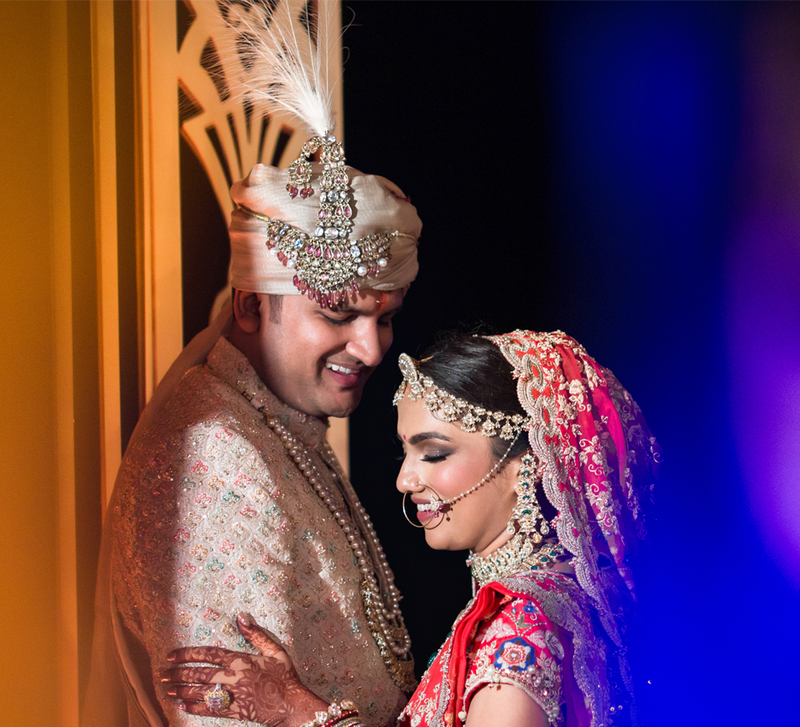 The bride believes it’s all down to WeddingNama who captured their magical moments perfectly. She says, “We couldn't have been happier with our wedding day photographs and films - it's been a year to our wedding and we still enjoy re-watching every picture and video. Akash has a very professional approach and he handled all our requests patiently."